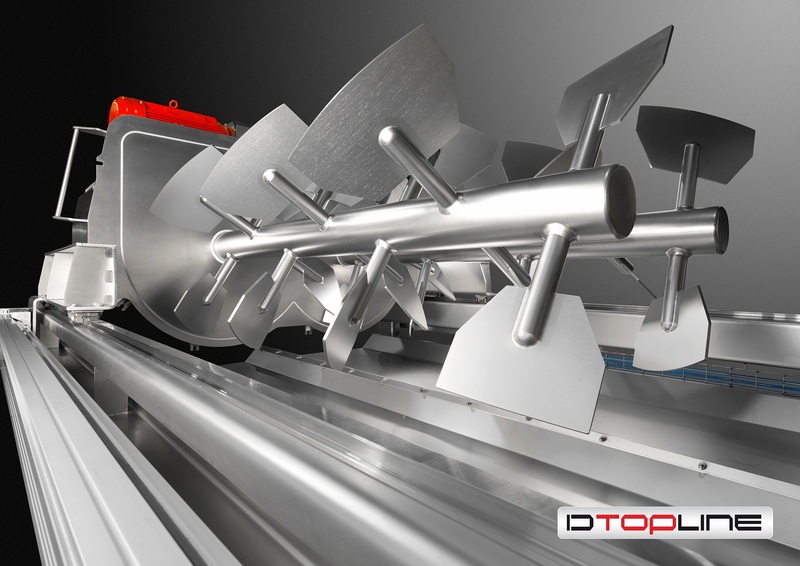 The desire for constant innovation has recently led to the introduction of the ‘Improved D-Topline’, a model based on the familiar Pegasus double-axle paddle mixer. The geometry of the installation is modified in such a way that the upper sides of the mixing chamber lean in towards each other, resulting in a drop shape. The negative angle of inclination in the upper side of the mixing chamber reduces the risk of product adhesion. In addition, the ‘Improved D-Topline “can be equipped with an additional hatch (‘front hedge’) on the front. This feature makes it much easier to inspect or clean the mixer. In some cases, thanks to this hatch, a version can be offered where the paddle axle assembly can be driven entirely from the mixing chamber. Furthermore, the ‘Improved D-Topline’ is provided with a divisible shaft seal, allowing the installation to be CIP-cleanable. Yet another development is the introduction of an explosion-proof mixer (Atex-zone 20 internal), suitable for processing materials in which the Kst- and LEL-values ​​are within a fixed range. This mixer was subject to a risk assessment and received a type approval for the entire Pegasus mixer range from an independent Notified Body. 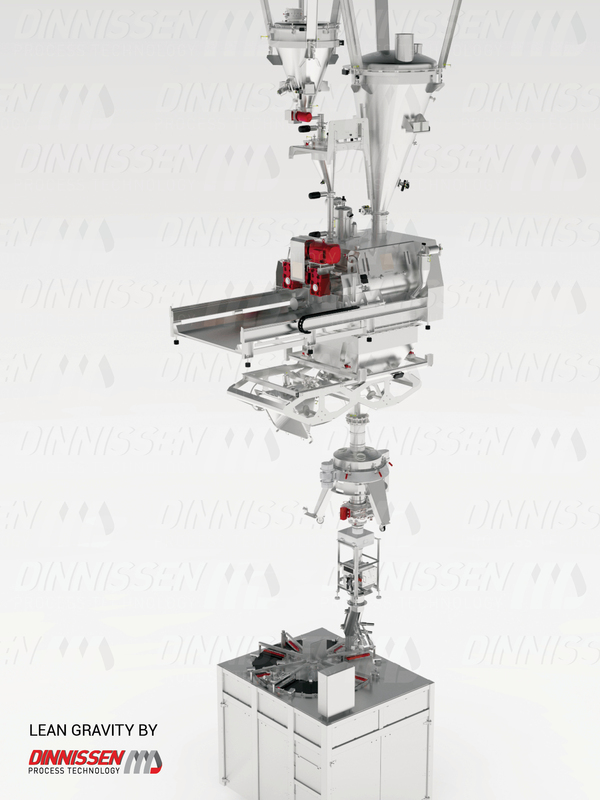 The ‘All in one’ concept is Dinnissen’s response to the demand for fully integrated process lines. An example is the mixing line which has recently been shipped to a customer in the United States. This consists of a skid comprising a docking system for vessels which can be deposited into the mixer dust-free, which can then move the mixer up and down to mix and fill the same vessel again. The great advantage of the ‘All in one’ concept is that the various components are perfectly matched to each other. This means that a consistently high-quality product can be guaranteed. There is no segregation of the product, moreover the process is completely dust-free and explosion-proof. 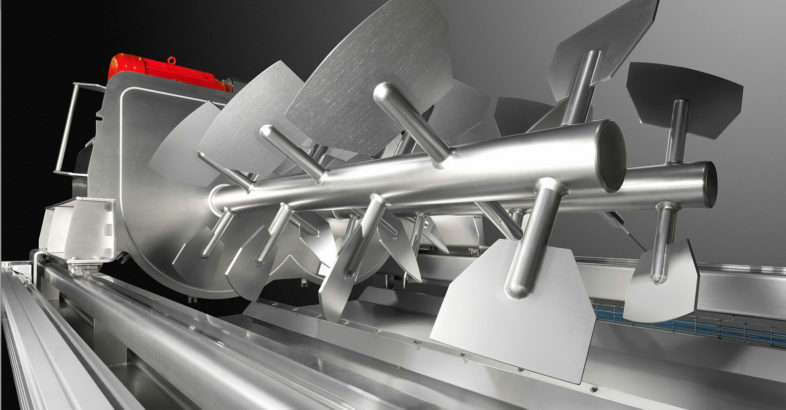 The Pegasus double-axle paddle mixer from Dinnissen Process Technology is ideally suited for the energy-efficient and product-friendly processing of a wide range of raw materials. The paddles create a fluid bed in the mixing chamber. The product particles can move freely in the fluidised zone, resulting in a quick and intensive mix. As a result, it is also possible to dry the particles with energy-efficient sucked or injected warm, dry air. The combination of various process steps (such as mixing and drying) in one system reduces the necessary floor space and saves on the purchase of process equipment. In addition, a combination of process steps minimises the effort required to clean a process line. The mixing and drying parameters of the mixer are easy to adjust, so that a variety of recipes can be easily produced from a single installation. The largest plant for infant food in Europe, was recently put into operation in central Brittany, France. The plant has a capacity of 100,000 tonnes/year. In addition to the drying towers, the heart of the process is based on an innovative dry mixing concept by the Dutch manufacturer, Dinnissen Process Technology, called Lean Gravity Mixing. The Chinese infant food manufacturer, Synutra (12,000 employees) has invested € 170 million in a new 38.000 m² greenfield mega-plant located in Carhaix-Plouguer, Brittany. This facility processes milk into dry baby food intended for export to China. The plant requires 288 million litres milk per year, which is provided by 800 farmers from the Sodiaal regional cooperative. The construction of this greenfield plant began in 2014 and the process involved a total of ten suppliers from ten different countries. 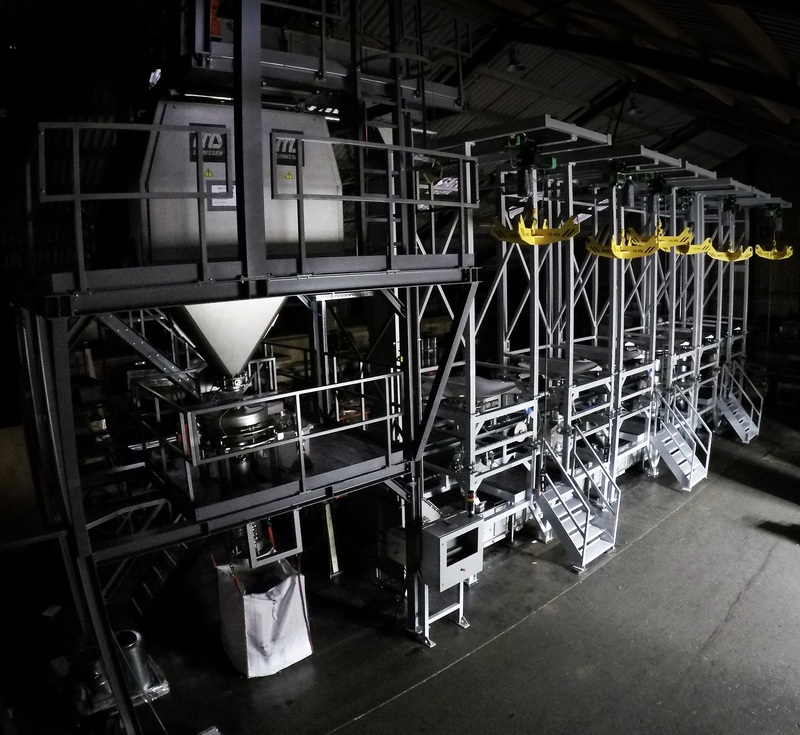 Dinnissen Process Technology came into the picture at a relatively late stage with an unusual proposal for the dry mixing line. This turned out to have so many advantages that the concept of the plant and the design of the building were substantially adjusted to suit it. 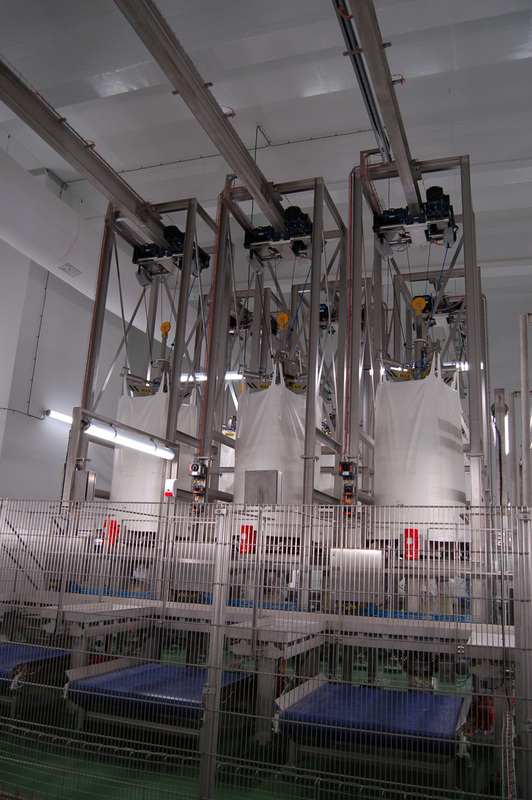 Synutra already operates four infant food plants in China and had their own tried and tested procedure with mixing line, silos storage for the finished product and pneumatic or screw conveyors to the packaging line. Dinnissen made a proposal for a lean gravity mixing line, which makes optimum use of gravity, so that product conveyor lines were no longer needed. This is beneficial because any mechanical transport, either pneumatically or by screws may cause damage to the product. In the gravity mixing line, all the raw material components are raised up and fully-automatically dosed into the mixer from above. The mixed product is discharged from the bottom of the mixer and goes through multiple process steps below by force of gravity. This does, however, require the necessary height to be available. Dinnissen has already built many lines according to this concept. Various sized mixers can be used with such mixing lines. In this case, Dinnissen has suggested a mixer with a capacity of 4 tonnes per batch, with a mixing time of approximately 1 to 1.5 minutes. In the Carhaix plant, the milk powder resulting from the drying process and all other bulk ingredients are stored in bulk bags in a huge automated warehouse. This allows the difference between milk supply and the desired output of the plant to be gauged accurately. These bulk bags are the most important input for the mixing line. An AGV system carries the bulk bags to the beginning of the mixing line on level 1. They pass through a cleaning cabin, which disinfects the outside of the bulk bags with ionized air and UV, before entering the high-care area. A quick lift, with a capacity of 26 units per hour, brings these up to level 6, at a height of 24m. The bulk bags are then taken over by one of the four transport systems, which delivers them automatically to the correct unloading station (one of the six stations) via built-in floor guides. After a check scan by the operator and authorisation from the operating system, the bulk bag is hoisted and attached to the unloading station. This a high-care procedure due to the hygiene requirements. There are three different bulk ingredients with two bulk bag unloading stations for each ingredient; thus ensuring a constant supply of the three basic ingredients. Per batch, based on the desired formulation, the content of the correct bulk bag is added to the mixer situated directly below it. A “loss-in-weight” dosage is employed for accuracy. In addition to the contents of the bulk bags, there are also ‘minors’, which are ingredients in smaller volumes. There were 3 minors anticipated in the design phase, but in practice there are now around 30, which have been seamlessly integrated into the operation. The bags containing the ‘minors’ are cooled and transported to level 1. They enter the high-care area after passing through a UV tunnel to kill any bacteria. They are then collected in crates and moved to level 6 via the quick lift. The transport system then takes them to a set-down area, where the operator can store them temporarily. At a weighing station, the operator sets the required premixes together using a vacuum system, which once bagged, are moved to the dosing cabinet to be fed into the mixer. A number of scans are needed during the process to ensure that the operator formulates the correct mix and that it is added to the appropriate batch. The mixer, located at level 5, has a capacity of 6.5 m³, and can handle up to 4 tonnes which produces up to 14 tonnes of baby food per hour. The mixing time of a complete batch is only 1 to 1.5 minutes. The mixer is equipped with two large ‘wing doors’ on either side, in order to facilitate a periodic quick dry cleaning. This double-axle Pegasus paddle mixer, a tried and tested concept of Dinnissen, dissolves the batch at the bottom so that no residue remains. The mixed product then falls into a supply hopper on level 4 which has a sieve mounted below it. A metal detector and rotating magnet is used to remove any metal particles before the product flows further down to the packaging line. There is also the possibility to fill bulk bags during this process. Synutra had initially based the design of the dry-mixing line on storage of the finished product in silos and pneumatic or screw conveyance to the mixers. 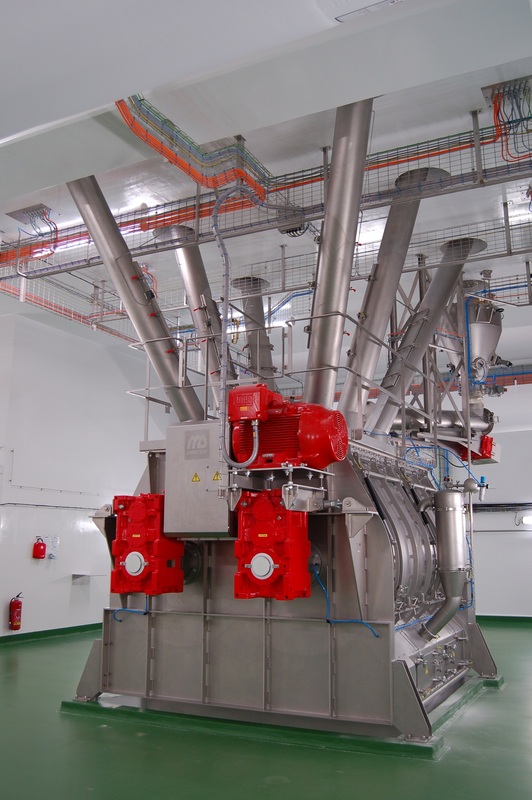 The design was radically overhauled during the engineering phase because of the significant benefits of the Dinnissen Lean Gravity Mixing line. Firstly, there is no mechanical transport of the finished product; the product is moved by the natural force of gravity from the vertical mixing line to the packaging line. As a result, there is no risk of damage, segregation or product adhesion. It also means a lower consumption of energy. The fact that Dinnissen has, in recent years, made many mixers for leading manufacturers of infant food, also played a role. The entire line is hygienically designed in such a way that it can be automated to be easily operated by 1 or 2 operators. Almost all the components were fabricated by Dinnissen in its own production plant in the Netherlands and this allows them to function as a turnkey supplier and systems integrator for the entire mixing line.